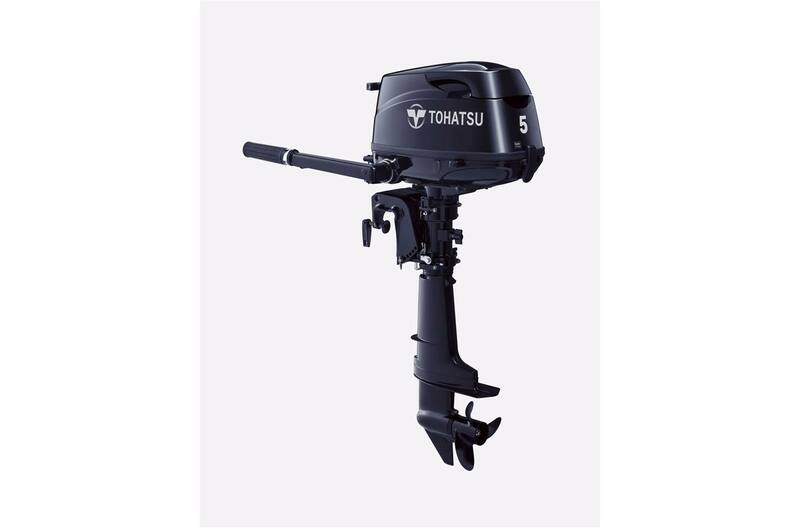 The Tohatsu 5 hp 4-stroke gives you that peace of mind you need when purchasing an outboard. With Tohatsu's excellence in engineering, you can be assured that you are choosing an engine that will be with you for years to come. Front Mounted Shift Lever: The new front mounted shift lever, an industry first in its class, allows for better drivability. Longer Tiller Handle: The tiller handle has been extended 110mm from previous models for easier access and maneuverability. Larger Carrying Handle and newly designed Holding Grip on bottom cowl: A newly installed holding grip on the bottom of the cowl as well as a larger carrying handle makes transporting this compact model even easier.